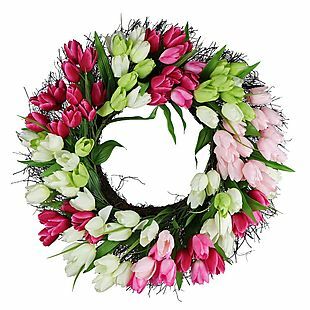 22" Tulip Wreath $23 Shipped! This deal is back! This 22-Inch Tulip and Grapevine Wreath drops by 60% from $49.99 to $20 at Joann. Plus shipping falls from $7.99 to $2.99 when you enter the promo code APRIL299 during checkout. This matches the shipped price of our last mention. This is the best price we could find on a tulip wreath by $28. Compare to this similar wreath here. Sales tax is charged in most states. 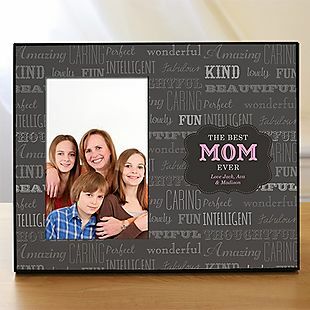 Exclusively for our readers, a selection of Personalized Glass Photo Frames drops from $28.99-$30.99 to $16.98 when you add the code BDMOMGLFRM at checkout at Gifts for You Now. Even better, that code drops shipping to a flat $6, which saves $2 in fees. That's the best price we found based on any similar frame. Choose from 11 different styles. Order by 5/2 to guarantee Mother's Day delivery. Sales tax is charged in most states. Shop Lenox.com for decorative perfume bottles reduced as much as 70%. 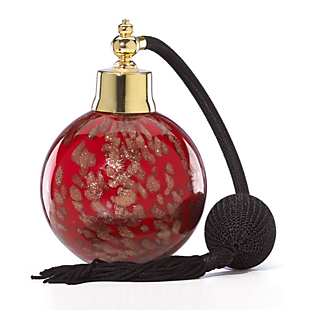 The pictured Deep Red Art Glass Perfume Bottle drops from $75 to $32.99. And check out the Heart Art Glass Perfume Bottle, once $67, now $24.99. These are the lowest prices we could find. Shipping adds $6.95-$10.95, or spend $75 to get free shipping. Sales tax is charged in most states. 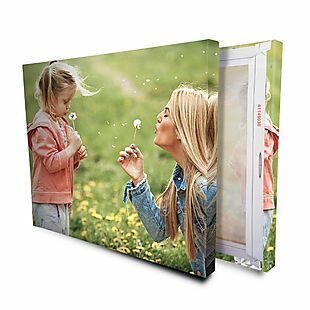 Exclusively for our readers, this 16" x 20" Standard Wrapped Canvas, regularly $156.47, drops to $24.99 when you activate this link at Easy Canvas Prints. Add two to your cart and the price is $40.99, or $20.49 each. Plus shipping is free. This is the lowest price we could find based on a similar canvas, and it's one of the lowest prices we have seen on this size. 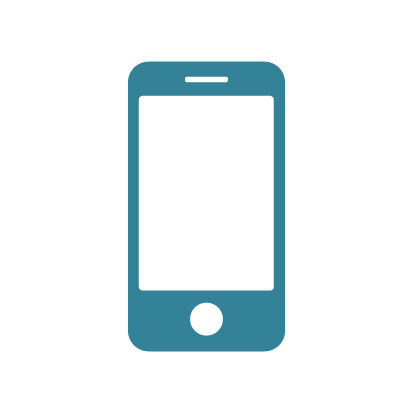 Upload your own image (from your computer, Facebook, or Instagram), and choose from three border-wrapping options (select border options may incur an additional cost). Plus save up to 85% on all other canvas sizes, too! Please note that free shipping only applies to the contiguous United States. Sales tax is not charged in most states. This Self-Adhesive Wallpaper, originally $9.99, drops to $6.99 when you enter the promo code CAROTWCQ during checkout at BeautyHalo via Amazon. Shipping is free when you use a Prime account or free Prime trial. Shipping is also free when you spend $25 or more. Otherwise, it adds $5.99. This is the best price we found by $3. Sales tax is charged in most states. 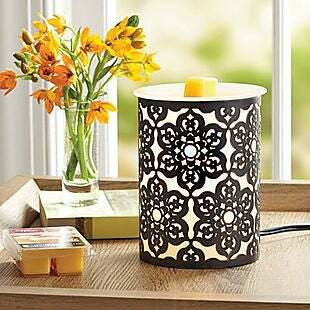 Get 40% off summer decor at Michaels.com. Prices are as marked. This is the largest discount we've seen on summer decor at Michaels so far this year. Shipping starts at $6.95, or you can avoid this fee by selecting in-store pickup. 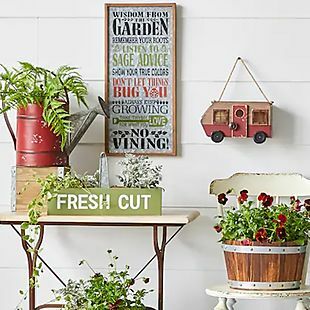 The pictured Garden Wisdom Wall Hanging drops from $40 to $24 during the sale. It measures 11" x 23.6" x 1". Also check out this 22" Sunflower and Hydrangea Wreath, which falls from $40 to $24. Sales tax is charged in most states. 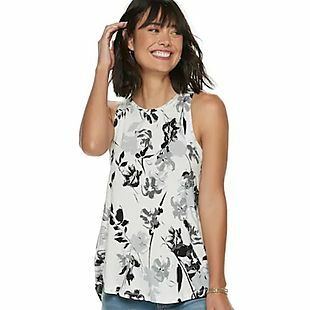 Find thousands of items for less than $20 at Kohls.com. Choose from apparel, accessories, and items for the home. You'll also earn $10 in Kohl's Cash for every $50 you spend. Check out this Apt. 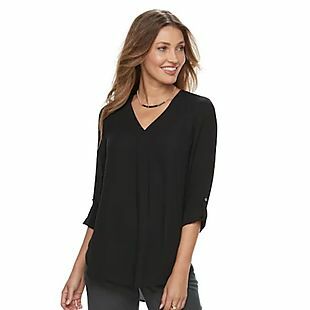 9 Roll-Tab Chiffon Tunic Top, which drops from $40 to $19.99, the lowest price we could find based on a similar top. And this The Big One Gel Memory Foam Side Sleeper Pillow drops from $49.99 to $14.99. Shipping adds $8.95 or is free over $75, or you can choose free in-store pickup on many items. Sales tax is charged in most states. Find thousands of items for less than $10 at Kohls.com. Choose from apparel, accessories, and items for the home. Check out this Apt. 9 High-Neck Swing Tank, which drops from $13 to $5.99, the lowest price we could find based on a similar top. And this The Big One Towel drops from $9.99 to $2.99. Shipping adds $8.95 or is free over $75, or you can choose free in-store pickup on many items. Sales tax is charged in most states. 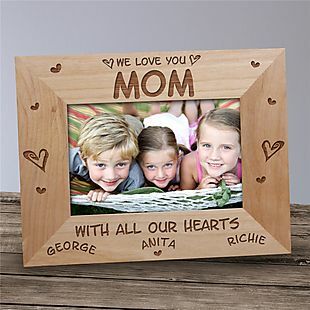 Exclusively for our readers, these Mother’s Day Wood Frames drop from $26.98 to $14.98 at Gifts for You Now when you add the code BDMDFRAME46 at checkout. Plus this drops shipping to a flat $5, which saves more than $1 in fees. You can choose from 17 styles and personalize them with names or messages. The frames hold a 4" x 6" photo and are made of wood. You can choose a larger-size frame for an additional fee. They have an easel back or can be wall hung. Order by 5/2 to guarantee Mother's Day delivery. Sales tax is charged in most states. 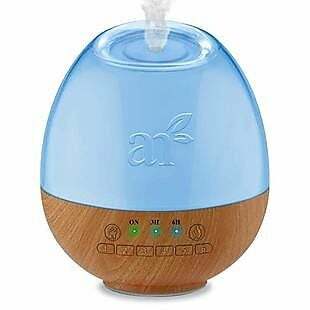 This Art Naturals Oil Diffuser & Sound Machine from Organics Awareness via Amazon.com is selling for $29.95. Other retailers sell this for $35 or more. Plus shipping is free when you choose free shipping at checkout. The 300ml diffuser is also a sound machine with six sounds to choose from. It also features seven LED colored lights. Sales tax is charged in most states. Get 25-33% off a 3-, 6-, or 12-month gift subscription from Succulent Studios when you click on our link. The 3-month gift subscription drops from $49.50 to $33, the 6-month gift subscription drops from $99 to $66, and the 12-month gift subscription drops from $198 to $148.50. Plus shipping is free. 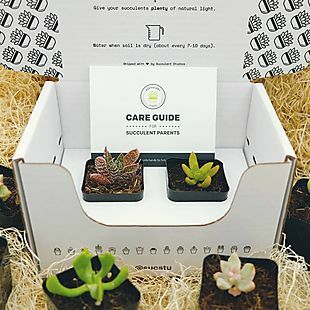 Each month your recipient will receive two baby succulent plants, identification cards, and care instructions. Check out this video where we take a look inside one of the subscription boxes! Sales tax is not charged in most states. Exclusively for our readers, this 16" Metal Name & Date Monogram Sign drops from $69.99 to $24.50 when you apply code BDFLMONO at checkout at Rusted Orange Craftworks. Shipping adds $6.99. We found similar signs priced for up to $15 more at other retailers. You can customize up to 15 characters. Sales tax is charged in most states. 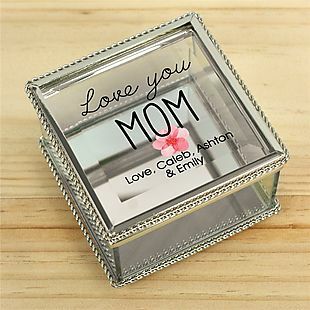 Exclusively for our readers, these Personalized Jewelry Boxes drop from $27.99 to $17.98 when you add the code BDMDKPBOX at checkout at Gifts for You Now. Even with $5 in shipping fees, this is the best price we could find based on a similar jewelry box. They measure 3.25" x 3.25" x 2.25" and can be personalized for free. Choose from 20 designs. Order by 5/2 to guarantee Mother's Day delivery. Sales tax is charged in most states. 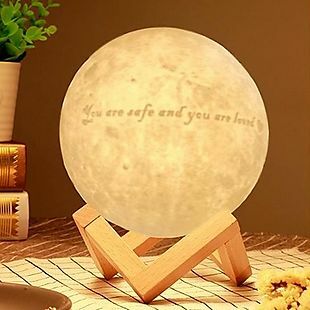 Exclusively for our readers, take 41% off this Personalized Moon Lamp at Apollo Box when you enter our code BDCUSMN at checkout. Even better, shipping is free with our code, saving you another $4 in fees. This is the lowest price we've seen on personalized moon lamps this year. It drops from $39.99 to $23.49 in the 3.9" size. Enter up to 50 characters before checkout. Sales tax is charged in most states. This 12" Custom Metal Arrow with Name or Date drops from $19.99 to $8 when you enter code BDARROW12 at checkout at Rusted Orange. Shipping adds $4.99, but even with shipping, this is a price low by at least $2. Personalize your arrow with up to 8 characters. Note that these arrows are sanded steel, and the edges are sharp. They're crafted in the USA. Sales tax is charged in most states. This 24" Metal Penscript Personalized Name or Phrase drops from $64.99 to $22.75 when you enter code BDPEN19 at checkout at Rusted Orange. Shipping adds $6.99, but even with shipping, this is a price low by at least $4. 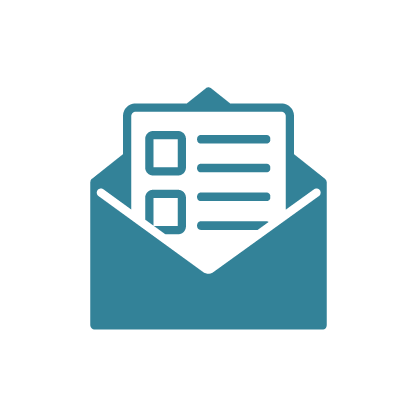 Personalize it with a name or phrase up to 13 characters. Note that the sanded steel edges are sharp. They are hand-crafted in the USA. Sales tax is charged in most states. This 16" Metal Circle Monogram with Name drops from $65.99 to $19.80 when you enter code BDCIRCLE70 at checkout at Rusted Orange. Shipping adds $6.99, but even with shipping, this is a price low by at least $3. Personalize it with one initial and a name up to 13 characters. Note that the sanded steel edges are sharp. These monograms are hand-crafted in the USA. Sales tax is charged in most states. 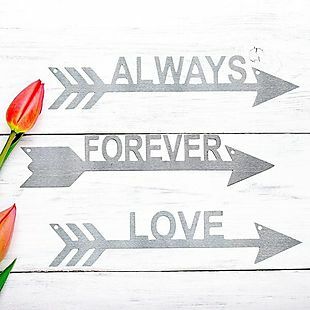 This week, get 50% off this selection of wood decor at HobbyLobby.com. Shipping starts at $6.95 and varies based on the dollar amount of your order. Choose from over 300 options. 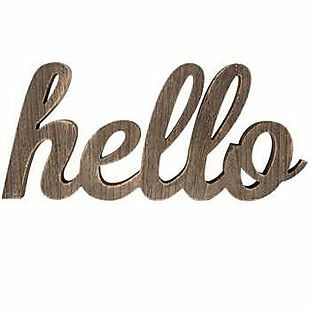 The pictured Hello Word Wood Wall Decor drops from $24.99 to $12.49. Also, this Weathered Gray Wooden Wall Arrow drops from $9.99 to $4.99. Sales tax is charged in most states. 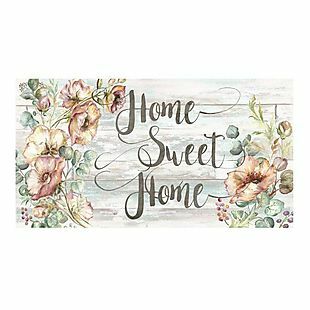 This Spring Kitchen Mat, originally $59.99, drops from $29.99 to $27.99 when you use our exclusive promo code BD464 during checkout at Until Gone. Shipping is free. This is the lowest price we could find based on similar styles by about $10. The water-repellent mat is oil- and stain-resistant. It has non-skid backing to keep it in place and measures 20" x 29" x .5". Choose from six styles. Sales tax is charged in most states. 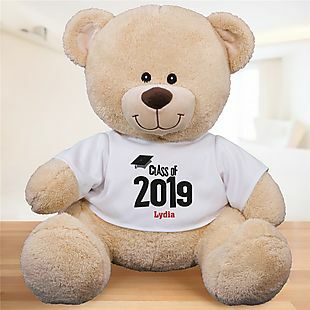 Exclusively for our readers, this Personalized Graduation Bear drops from $28.99 to $14.98 when you add the code BDGRADBEAR19 during checkout at Gifts for You Now. Plus this drops shipping to a flat $5, which saves $2 in fees. You get an 11" teddy bear in a custom T-shirt, although you can upgrade to a larger bear for additional fees. Sales tax is charged in most states. 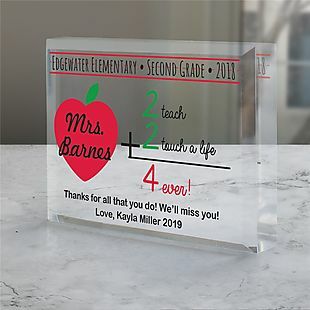 Exclusively for our readers, this Personalized Acrylic Teacher Block drops from $25.99 to $8.98 when you add the code BDTHXTEACH at checkout at Gifts for You Now. Plus this drops shipping to $4, which saves more than $3 in fees. Sales tax is charged in most states. 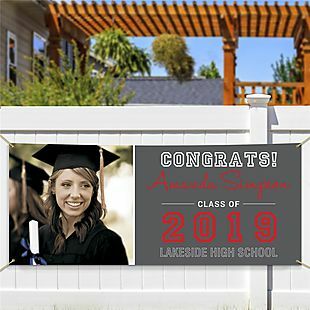 Exclusively for our readers, select Personalized Graduation Banners drop from $30.99 to $15.98 when you add the code BDGRADBAN2019 at checkout at Gifts for You Now. Plus this drops shipping to a flat $5, which saves $3 in fees. Choose from three styles. They measure 30" x 72" and are made of weatherproof canvas. Sales tax is charged in most states. 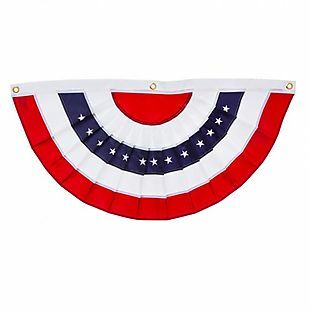 Exclusively for our readers, this Small Patriotic Applique Bunting drops from $10.99 to $8.79 with free shipping at My Evergreen when you add promo code BUNTINGS at checkout. This is the lowest price anywhere and many sites are charging over $14 for something similar. It measures 18" x 36" and has grommets for easy hanging. Sales tax is charged in most states. 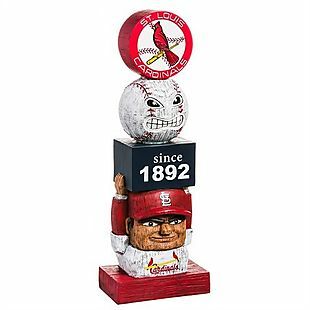 Exclusively for our readers, choose from 40 Sports Team Garden Statues, which drop from $33 to $26.40 each when you enter our code BRADVINTAGE at checkout at My Evergreen. Plus this code bags you free shipping on these items, saving you $4.95 in fees. This is the lowest price we found by around $4. Sales tax is charged in most states. 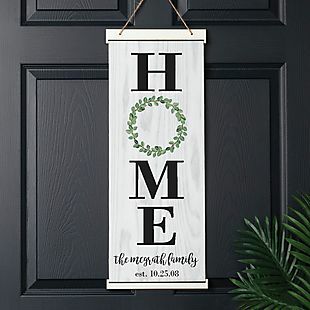 Exclusively for our readers, this Personalized Home Hanging Canvas drops from $34.95 to $14.99 when you add the code BDHOME at checkout at Personalized Planet. Shipping adds $5.99. The sign measures 10" x 25" and you can choose from two designs. Sales tax is charged in most states. 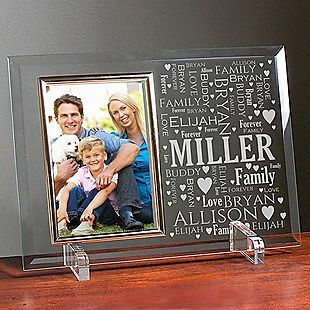 Exclusively for our readers, these Personalized 8" x 10" Printed Frames drop from $27.99 to $18.98 when you add the code BDPRTFRAME19 at checkout at Gifts for You Now. Plus this drops shipping to a flat $5, which saves $3 in fees. You can choose from 54 different styles which hold either a 3.5" x 5" or 4" x 6" photo. Sales tax is charged in most states. 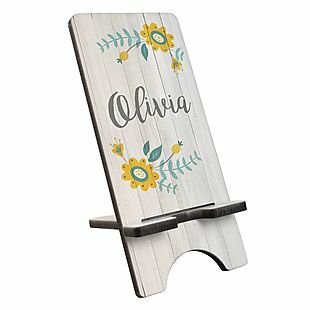 Exclusively for our readers, these Personalized Cellphone Stands drop from $29.95 to $12.99 when you add the code BD19PHONE1 at checkout at Personalized Planet. Plus this drops shipping to $4.99. This is the lowest price we could find based on a similar item. Choose from six items. Sales tax is charged in most states. 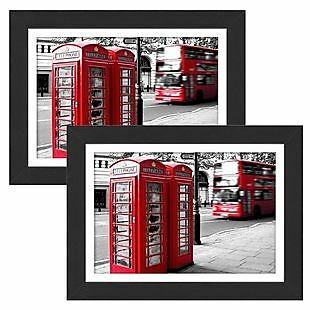 This pair of 5" x 7" Picture Frames from Oak Leaf via Amazon.com drops from $12.99 to $8.99 when you enter the code TG3DN4L5 at checkout. Similar frames sell for around $15 each. Shipping is free when you spend $25 or use a Prime account or a free Prime trial. Otherwise, it adds $5.99. The frames can hold a 4" x 6" photo with the matte and a 5" x 7" photo without. 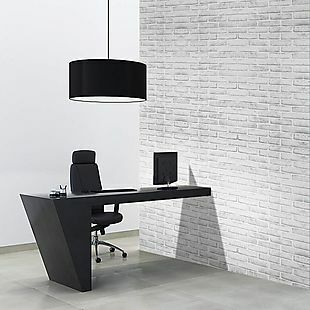 It can be displayed vertically or horizontally and comes in the color black. Sales tax is charged in most states. 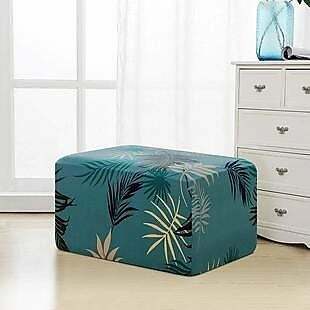 This Printed Ottoman Slipcover from Subrtex.com drops 50% from $39.98 to $19.99. Other retailers sell this for $28-$41. Plus shipping is free. The floral cover is made with Spandex fabric and comes in two colors. Sales tax is charged in most states.